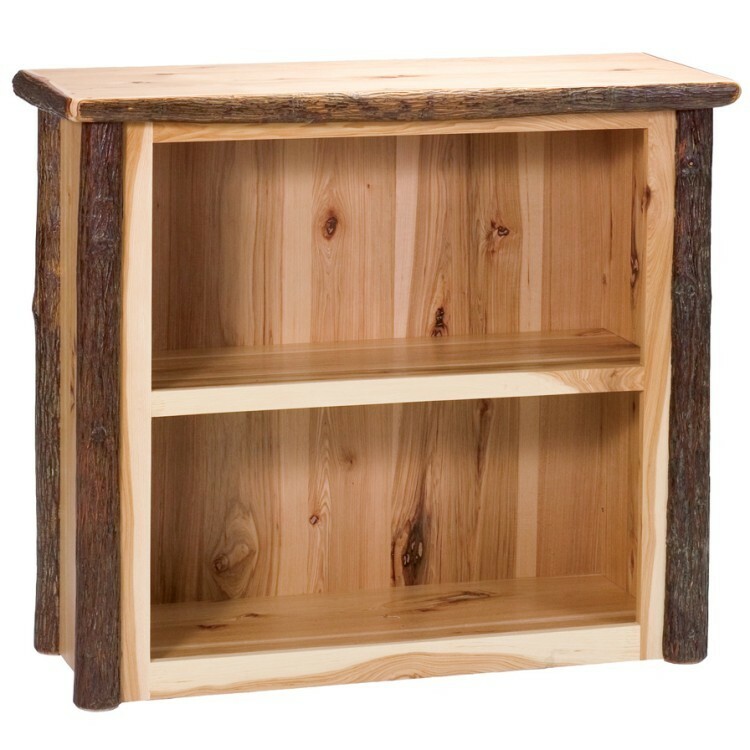 Add this rustic hickory bookshelf to your living room, den or your office. 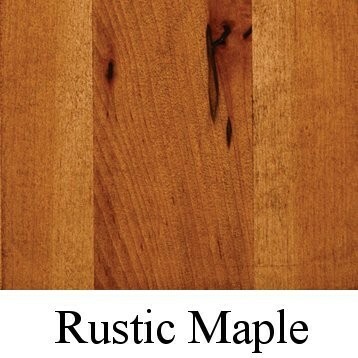 Choose from 4 rustic finishes to complement your rustic decor. 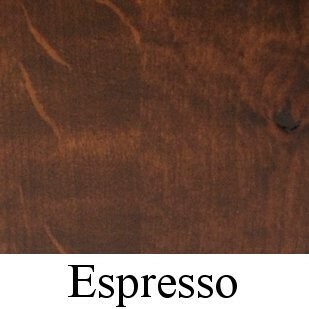 This Small Hickory Bookshelf is clear-coated with a catalyzed lacquer for lasting durability. 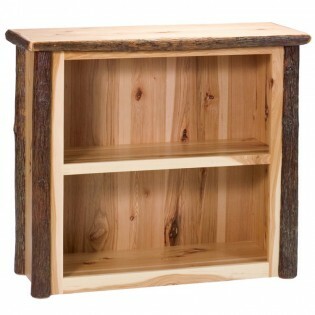 Add this rustic hickory bookshelf to your living room, den or your office. 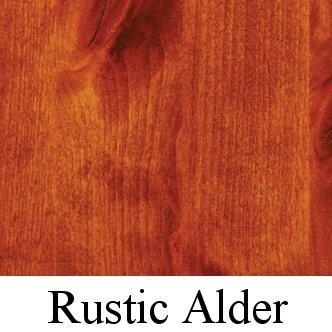 Choose from 4 rustic finishes to complement your rustic decor. This Small Hickory Bookshelf is clear-coated with a catalyzed lacquer for lasting durability. This rustic hickory bookshelf measures 43" W x 16" D x 36" H. The Hickory Logs are bark on and kiln dried to a specific moisture content.